Information provided by the CNMV indicates that Grupo Nicolás Correa (GNC) closed the last financial year with total revenue of 56 million euros. The EBITDA was consequently 3.9 million, up 63% over the previous year. Pre-tax earnings stood at 1.3 million, versus the negative result of 0.3 million in 2013. The mother company along with the three Spanish industrial subsidiaries turned in a positive result. The Chinese subsidiary was the only one to post a loss, of 0.2 million. Orders received during the year amounted to 64.4 million, 26% more than in the previous year. The order book at 31 December therefore showed a 63% increase over the same date at end 2013. Nicolás Correa S.A., founded in 1947, merged with Industrias Anayak and today is the parent company of the Nicolás Correa Group, one of the leading industrial groups in Europe, both for its size and its innovation, conception, design and manufacture of milling machines. 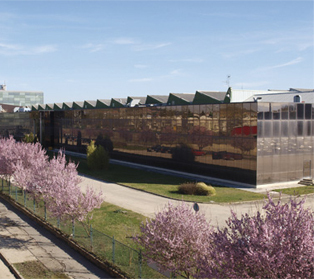 With a workforce of 386 and a turnover of more than 90 million euros, the company is a European leader in milling solutions to answer the demands of the most demanding production tasks, such as manufacturing dies and large moulds, monolithic elements for the aerospace, railway, energy and general mechanical sectors. Currently, Nicolás Correa exports 80% of its production to the main industrialised countries, such as Germany, China, France, Great Britain, USA, Canada, etc., through a wide network of distributors and subsidiary branches which provide direct, personal contact with the customer. Thousands of clients around the world entrust their machining requirements to the widest and most trustworthy range of milling machines from the correanayak, which are manufactured in two of their productive plants in Spain, Burgos and Itziar. In addition, Nicolás Correa has a strong R&D&I department, which takes part in several avant-garde projects in Spain and Europe, besides the company's own projects.